Good Organizations provide on-going opportunity for employees to acquire skills, knowledge and experience that is necessary in self-managing high work performance, continuous personal growth and broader career options over the long term. Career should be managed carefully to meet the expectation of the employees and the needs of the organization because it is one essential part that can determine the future growth of the organization. By giving the right career track to the right person, the company can ensure that vital positions are held by suitable people. 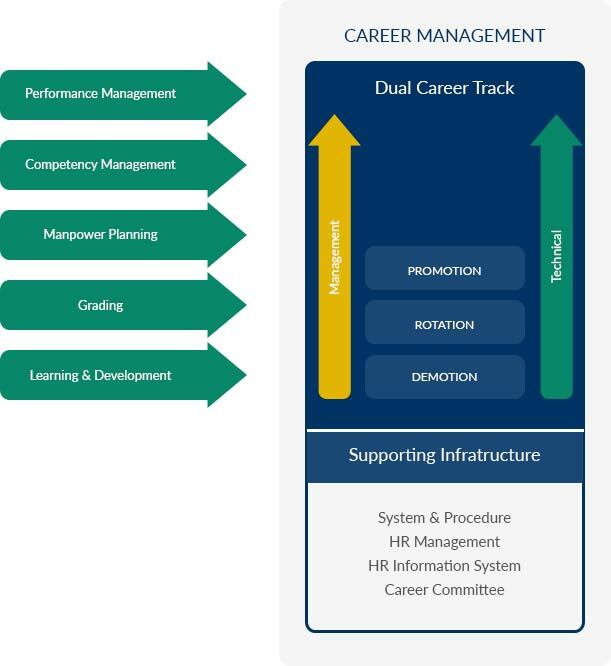 Dual Career Track (management or technical) is possible for Organizations with high technical requirements to accommodate the needs of Career Development for the employees as well as the personnel requirement for the Organization. 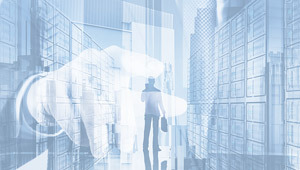 The movement in the Career Path of the employees can be lateral or vertical which movement determined based on several criterias of the intended position. With our Dual Career Track and our own Career Mapping System, we offer you flexible multiple career paths designed especially for your Organization that can accommodate the needs of your employees and the Organization itself to grow. We also offer recommendations and assistance in implementing the Career Management System to your Organization.